NAGA CITY—A Mega Jobs and Livelihood Fair is scheduled at the Activity Center in SM City Naga here on May 1, Labor Day, according to DOLE-Bicol. The government agency, in partnership with DOLE-RO V, DOLE Cam. Sur, Metro Naga PESO, SM, and ABS-CBN, promises to offer a wide range of job opportunities not only for fresh graduates but also for other jobseekers. "A job fair is the cheapest and fastest way to find a job. 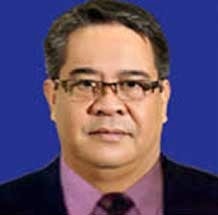 This is what we want to offer here in Bicol," DOLE Bicol Regional Director Nathaniel V. Lacambra said. Lacambra said that they have ensured that the job fair this year is in conjunction with the theme, “Sa Sipag, Tiyaga, at Talino, Buong Mundo Saludo sa Manggagawang Pilipino”.